The Grey sisters had only each other when their mother died years ago. Their stern, unyielding father gave them almost no attention. Winona, the oldest, needs her father's approval most of all. An overweight dreamer, she never felt at home on the sprawling horse ranch that had been in her family for three generations. Aurora, the middle, is the peacemaker. Vivi Ann, the youngest, is the undisputed star of the family. Everything comes easily to Vivi Ann, her father's love most of all. But when Vivi Ann makes a fateful decision to follow her heart, rather than take the route of a dutiful daughter, events are set in motion that will test the love and loyalties of the Grey sisters. They will be pitted against each other in ways none could have imagined. Secrets will be revealed, and a terrible, shocking crime will shatter both the family and their beloved town. 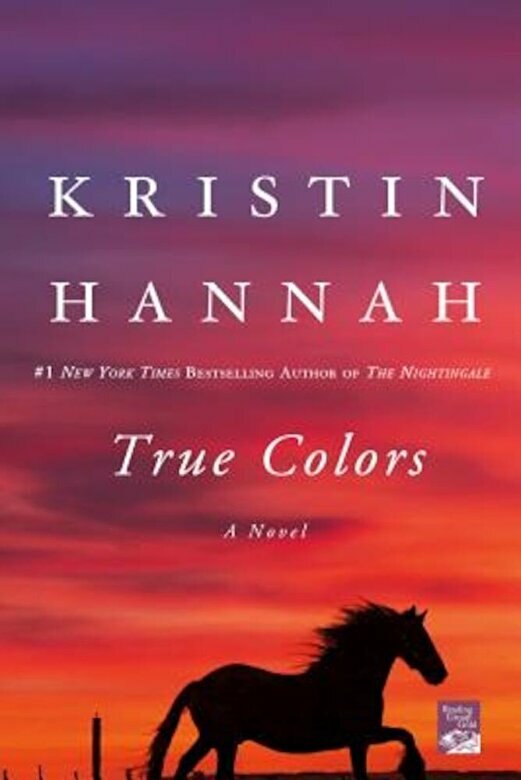 With breathtaking pace and penetrating insight, Kristin Hannah's True Colors is a novel about sisters, vengeance, jealousy, betrayal--and ultimately, what it truly means to be a family.